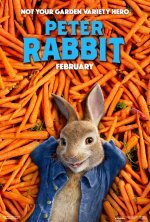 Peter Rabbit release date was Friday, February 9, 2018. This was a Nationwide in theaters release. Based on the children's book character created by Beatrix Potter. The film will be a mix of animation and live-action. The comedy is a modern interpretation of the Beatrix Potter stories (Hollywood Reporter, 8/4/16). 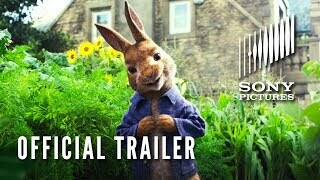 James Corden is voicing Peter Rabbit, while Domhnall Gleeson is playing McGregor. Rose Byrne is portraying a character named Bea, likely a stand-in for the author, Beatrix Potter. Margot Robbie is voicing an unknown bunny (Hollywood Reporter, 10/24/16).